As is so often the way with new convergent product categories, this first attempt to make something that is both a phone and a tablet seems to have resulted in something that isn’t much good at being either. Essentially it’s a small tablet that can fold in half to make a very chunky phone, with a hefty price tag to match. But we mustn’t be too negative. Samsung has been teasing the bendy screen for years and actually putting one into a commercial device is an impressive achievement. Its first effort was always going to be more of a public prototype than anything a normal person would consider buying, but it is as a commercial offering that it should be judged. 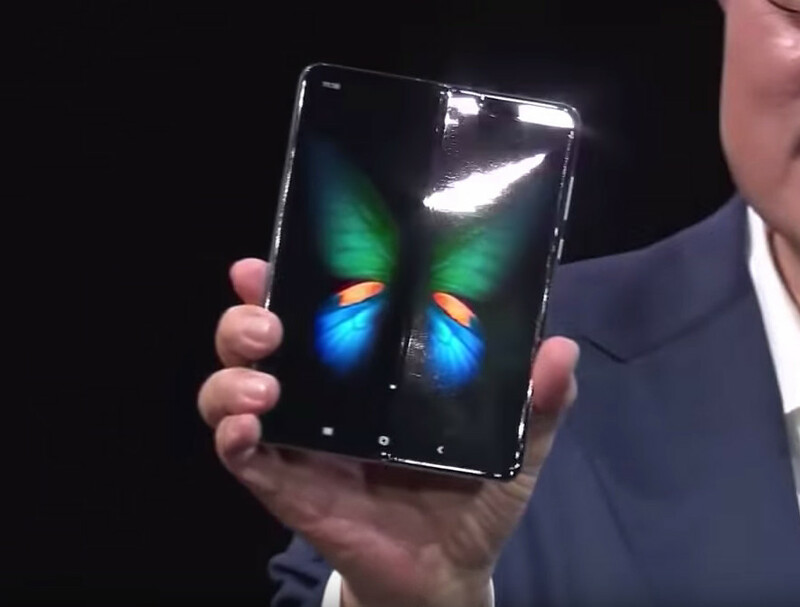 The Galaxy Fold uses a new display technology Samsung is calling ‘Infinity Flex’, which is an AMOLED screen that can be folded in half. Hence you have a 7.3-inch tablet that, when folded, becomes a 4.6-inch phone. Thus you have all the portability of a phone combined with the viewing experience of a tablet, or so Samsung would have us believe. We note with dismay that Samsung has adopted Apple’s irritating habit of dropping the definite article when referring to its products, as if they’re a person rather than a thing. But that’s not enough to distract us from the fact that 7.3-inches is very small for a tablet market in which ten inches has become the norm and that, when folded, the phone is inevitably much fatter than we’ve become accustomed to with regular smartphones. Oh yes, and it costs two grand (dollars). We spoke to Neil Mawston of Strategy Analytics to get his take on it. “Samsung Fold is the world’s most important smartphone launch since Apple iPhone in 2007,” he said. “Samsung’s Fold is a very good first-generation device. The Fold is relatively expensive, bulky and heavy, but the foldable industry has to start somewhere and this is a pretty good beginning. “We forecast global foldable smartphone revenues to rise from zero in 2018 to US$2 billion in 2019. Foldable designs will account for 1% of all smartphones shipped worldwide in 2019. The first buds of the foldable smartphone era are starting to sprout. One last question mark comes courtesy of our eagle-eyed video producer and resident gadget geek Pierre. He noticed in the unveiling video that the opened-up screen doesn’t seem to be perfectly flat. As you can see in the screenshot below, only one half of the screen is reflecting the spotlight, which strongly implies it doesn’t open up to the full 180 degrees. Hmmm. Somewhat overshadowed by all this foldy fun was the launch of Samsung’s latest flagship smartphone family, the Galaxy S10, S10+ and S10e. So we now have the ‘e’ variant as the lowest-priced version ($750) and then the option of two increases in size, spec and price ($900 and $1,000). The infographic at the bottom shows how the biggest one has been upgraded from last year. The most interesting part of that launch, however, was the promise of a 5G version hitting the shelves of US operator Verizon in Q2 of this year. The Galaxy S10 5G will be even bigger than the S10+, with its 6.7-inch screen barely smaller than the foldy one, which once more begs the question of what the point of the latter is. Other than that, details are a bit thin on the ground, including price, although we can safely assume it will cost a fair bit more than the S10+. We do know the 5G modem is the Snapdragon X50, however, with Qualcomm wasting little time in crowing about that. It also flagged up the first commercial use of its 3D Sonic Sensor, which allows fingerprints to be scanned through the screen. Samsung announced a bunch of European 5G operator partnerships that will support the launch of the S10 5G across Europe in the middle of this year. The following operators served up canned quotes from their CEOs saying how excited they are, which we will spare you: DT, EE, Orange, Sunrise, Swisscom, TIM, Telefonica and Vodafone. In summary this was an impressive array of launches from Samsung, presumably timed to steal the thunder away from other launches that typically take place on the Sunday before MWC starts. The foldy phone as it is now just seems to be an expensive gimmick, but we may eventually view it as the start of an era. The same goes for the S10 5G, which will initially have very little 5G network to work with, but is nonetheless a milestone in the evolution of the smartphone industry.